Korea's largest K-pop festival, "Incheon K-Pop Concert 2012," will be held at Munhak World Cup Stadium in Incheon from 7 p.m. on Sunday. Admission tickets are free of charge, but reservations are required. The concert, organized by the Incheon Metropolitan Government, will feature top stars like BoA, SHINee, Kara, 4Minute, IU, Girl's Day, Kim Tae-woo, Boyfriend, Dalshabet, B.A.P, and Woo-young from 2PM. Super Junior will host the show. 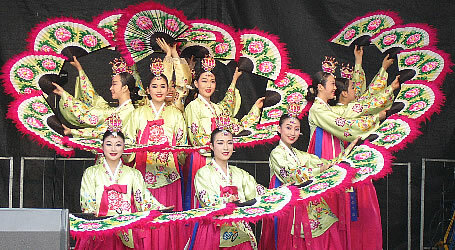 Expats residing in Korea will be able to book tickets, but they need to bring their IDs to enter the venue. Tourists can also make reservations by e-mailing thdud88@idtc.co.kr before Thursday, as long as they can provide some evidence showing they have stayed in the area, such as receipts for hotel accommodation in Incheon. 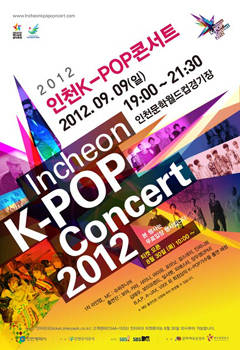 More detailed information can be found on the concert's official website (www.incheonkpopconcert.com). Hotel booking website www.agoda.co.kr/incheonkpop also offers detailed information about the concert, together with lodging options. Up to four tickets per person can be reserved at Interpark (http://ticket.interpark.co.kr).